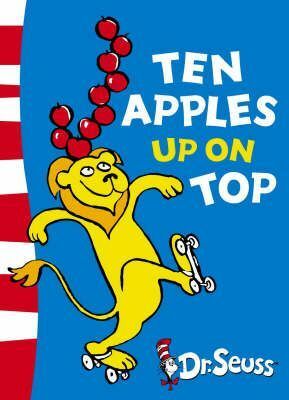 Learning to count has never been more fun than in this crazy tale of a dog, a lion and a tiger all showing off how many apples they can balance on their heads as they skip, walk the tightrope and roller skate their way through the book. This delightful book forms part of the second stage in HarperCollins' major Dr. Seuss rebrand programme. With the relaunch of 10 more titles in August 2003, such all-time favourites as 'How the Grinch Stole Christmas! ', 'Mr. Brown Can Moo! Can You?' and 'Dr. Seuss's Sleep Book' boast bright new covers that incorporate much-needed guidance on reading levels: Blue Back Books are for parents to share with young children, Green Back Books are for budding readers to tackle on their own, and Yellow Back Books are for older, more fluent readers to enjoy. 'Ten Apples Up on Top' belongs to the Green Back Book range.